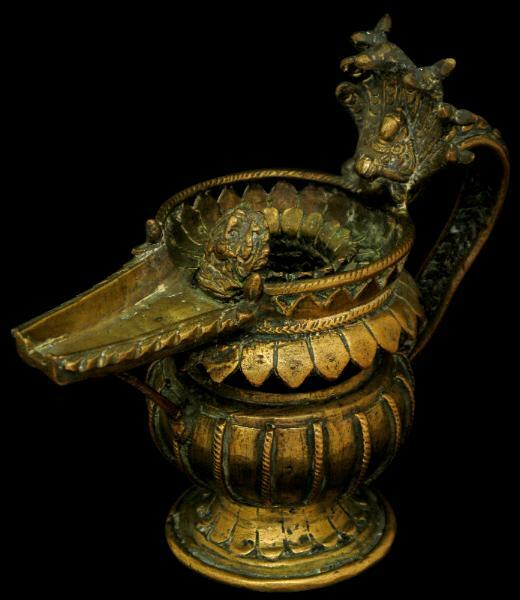 This small lamp follows the typical form of a naga kumbha deepa lamp used in Hindu worship in Nepal in the 18th and 19th centuries. Ganesh and what might be Hanuman under a flaring seven-headed cobra have been cast into the top of the lamp which has a lotus petal fringe and base, a ribbed body and a plaited handle. This lamp has a pleasing patina, and its contours have been softened by wear. 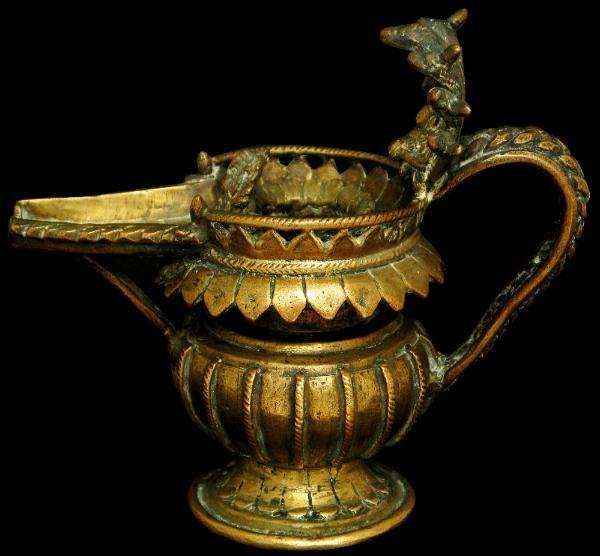 A lamp of similar form is illustrated in Anderson, S., Flames of Devotion: Oil Lamps from South and Southeast Asia and the Himalayas, UCLA Fowler Museum, 2006, p. 6 and again on the front cover; and in Kelkar, D.G., Lamps of India, Ministry of Information and Broadcasting, Delhi, 1961, p. 43.